Select Size Standard 12" - 18" XLarge 18" - 24"
This works great. Ever since I used it my patella has stayed in place during soccer and not dislocated. I wish these came in Larger sizes. The XL is too tight. I'm sure there are plenty of bigger guys with bad knees that could use at least an XXL or XXXL. The velcro straps are too short to wrap. Had to get more velcro and modify. It does provide better stability however. I have been using 180W Wrap Around Knee for several weeks and it is an extraordinary device. My doctor recommended this device to stablize my knee while running. It works! 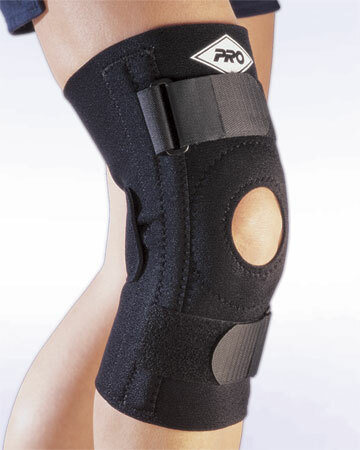 My knee was sore when I purchased this item, and I noticed an immediate reduction in my knee pain after trying it on. I am experiencing considerably less soreness in my knee during physical activity.